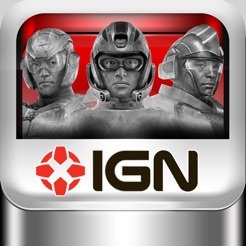 PlanetSide 2 is free-to-play MMO that delivers truly epic, massive combat. 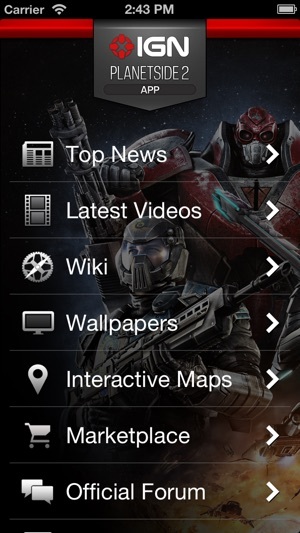 IGN's app for PlanetSide 2 gives you the intel on weapons, Certs, and everything you need to succeed on the warring planet of Auraxis. 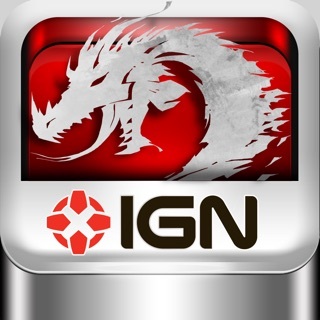 This app is not affiliated with or endorsed by game's developer, publisher, or distributor. 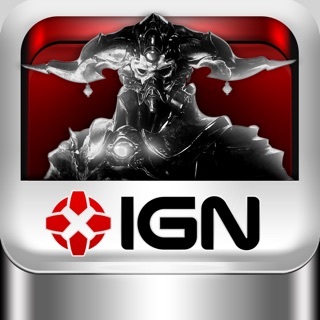 All in-game content, imagery, and videos on the application are copyrighted by their respective owners. 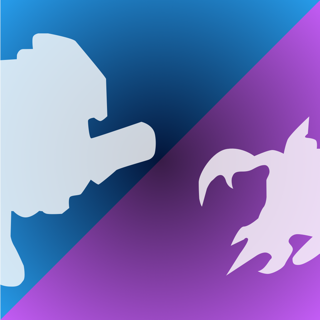 This reference guide is for informational purposes and meant to assist fans of PlanetSide 2 with game play. Please also note that our app does not currently support offline mode. 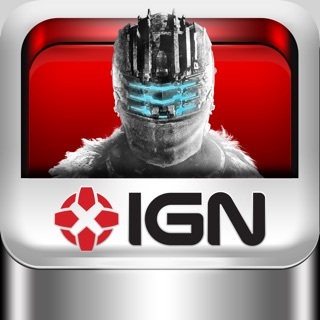 This app is good but I is not updated as often as the game is, it makes keeping up with the games ever changing gameplay more difficult than it already is. Even with this problem the app has helped me pick which weapons I use in the game and it has helped me become much better player through the hand books and reviews. 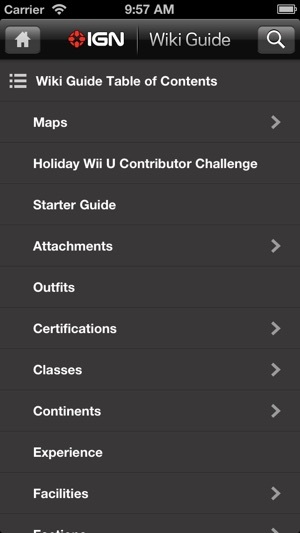 It's not what the official app from soe but who knows when that'll come out. 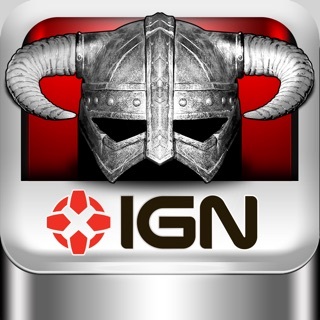 IGN was smart to hop on this and for what it does you really can't complain. 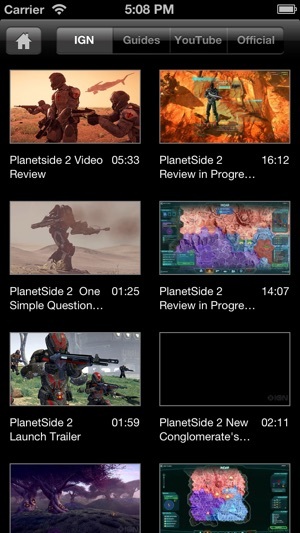 Map leaves a little to be desired but with all videos related to planetside 2, all IGN posts and reddit posts, and throw in some nice wallpapers all in one app is extremely nice. If you play it you should have this. 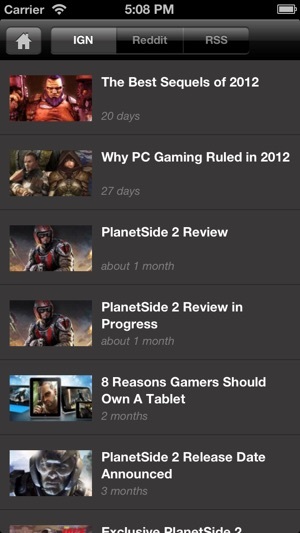 Well, the live map feature crashes the app, the "recent videos" section is a list of IGN videos, not videos relating to Planetside2. I was hoping to be able to use my iPad as a map screen while playing so I could see the game peripherally while map browsing. Neither this app or mobile uplink work for that. 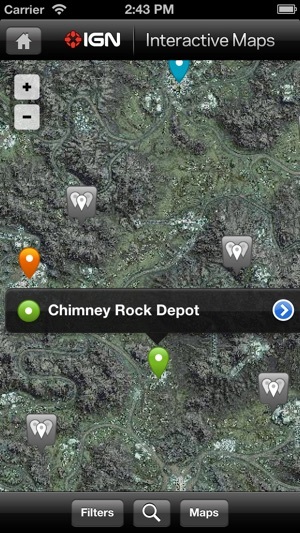 If the map viewer is fixed I will reinstall this app. 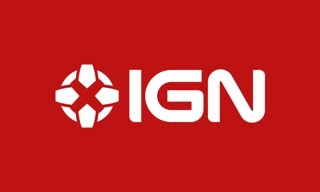 © 1996-2013, IGN Entertainment, Inc.